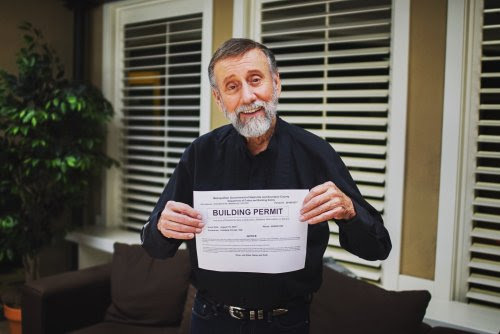 Nashville, Tenn. (August 23, 2016) - After months of waiting, legendary Country and Comedy music legend Ray Stevens has received his building permit to begin construction on his new Nashville entertainment venue, CabaRay. "These things take time to move through the system," says Stevens. "We hit a snag or two while waiting for approval to start building but I'm pleased to say that we've been cleared to begin construction on CabaRay!" The 27,000 square foot, multi-million dollar facility is being constructed in West Nashville at 5724 River Road. The live music venue will include a 700-seat showroom for live concerts. The showroom area will include a dining area, a full-service kitchen, bar areas upstairs and downstairs, ticket and management offices, restrooms and a gift shop. Parking will be available for about 275 vehicles and several tour buses. Stevens is developing the property with Parkes Construction Co. handling the construction. Stevens expects to debut CabaRay in the summer of 2017. Twelve-time nominated and two-time GRAMMY® Award winner Ray Stevens has spanned the generations with nearly 60 years of comedic musical talent, including songs such as his multi-million selling hit "The Streak" and his classic pop standard "Everything Is Beautiful." Throughout his career, Stevens has sold more than 40 million albums and continues daily office operations at his home base, Ray Stevens Music, located on Nashville's historic Music Row. Last fall, he began hosting Ray Stevens' Nashville, a 30-minute weekly music/talk show on RFD-TV.